You may be able to cite word for word all the scriptures in the world, but the key is to realize in yourself the truth of the scriptures. 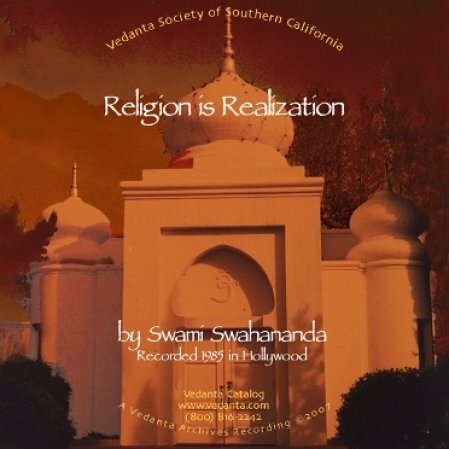 Swami Swahananda offers insight into spiritual practice and realistic advice on how to integrate our beliefs into our daily lives. Recorded at the Vedanta Society of Southern California, Hollywood Temple, on August 18, 1985.